One of the highlights of our trip to China was Xi'an, where we saw the Terra Cotta Warriors. They were so impressive, but there is also a lot of other things to see here. The city wall is impressive and there is a great Tang Dynasty dinner show that was very entertaining. What a beautiful and amazing place in Xi'an. You can see the history and the heritage of China. The more you see, the more you are interested the history of China. I enjoyed visiting Xi'an-- it's a very walkable city with a lot of history and great food. We may have come on a good weekend, but the air quality wasn't as bad as I was expecting. I recommend it if you're in Beijing or Shanghai for at least 7 days and want to take a couple of days to go elsewhere. The Muslim District is where it's at. The Terra Cotta warriors, while obviously very touristy, are a site to behold. Go in backwards order (chamber 3, 2, then 1) for the biggest impact! Xi'an is the travel destination in China. Sure, Beijing has the Great Wall and the Forbidden City (which are also great sights), but nowhere in China will you find such a vast collection of historical sites and experiences. Any trip to China should include this fantastic place. The city is easy to find your way around in. Choose a hotel at or near the city square and you'll find many of the must-sees just outside your hotel door. When you're done with all the sights in the books you can continue to explore the hidden gems deep inside the old streets of this historic city. Xi'an, translated as Western Peace in Chinese was one of China's early capitals. 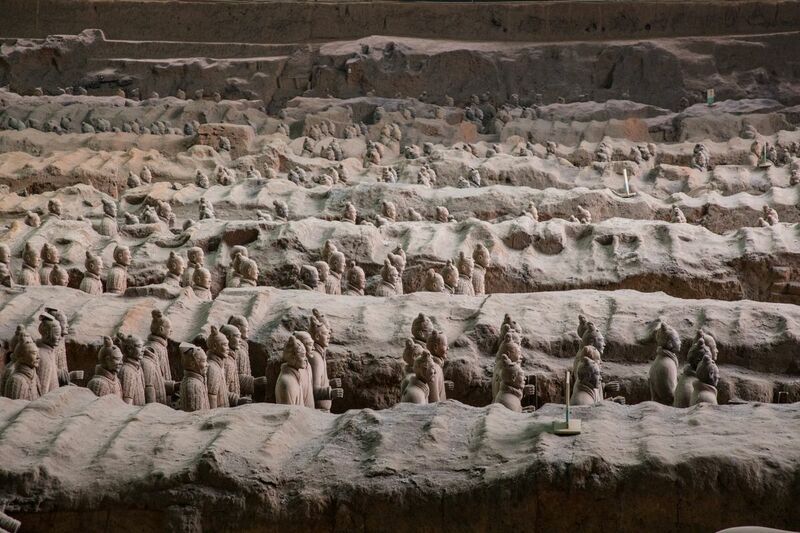 This city is known for the terra cotta warriors, otherwise known as the burial site of Qin Shihuangdi. Xi'An is China's first historic capital, made primary city by the first emperor, Qin Shi Huang. The Qin Shi Huang Terracotta Wariors and Horses Museum is located about thirty minutes outside Xi'An.